This annual report of Civio (Civio Civic Foundation) is an accountability practice that allows us to explain our pursuit, make all relevant information on our activities public and to share both positive and negative aspects of our evolution. We have adopted this format for the first time this year and we count on reviewing every period in an honest, critical and constructive way. We endeavour to raise the bar and to keep working in a self-demanding and enthusiastic manner, in order to keep the trust we already count on from so many citizens and to earn more and more every day. Transparency. Accessible data. Journalism. Technology. Civio's purpose is to attain real and effective transparency, with a free access for any citizen or organization to public data. We commit to this task for we want to contribute to an active citizenship society and an evidence-based public debate. In order to do so, we develop tools that shed light on the civic value within data and that foster transparency. We investigate and produce relevant information on public administration and governance in order to hold institutions accountable. 2014 has been our third operating year. We have reached budgetary sustainability one more year, by diversifying our recurring income towards more visible sources and by obtaining international recognition, which allows us to face new and greater challenges. Besides the management of eight pro-transparency projects, we have laid the foundations for another four initiatives for 2015. During 2014, our working team has fortified and grown, and we can face 2015 with a guarantee to accomplish an ambitious purpose: to raise the impact of our activity. Our relationship with public administration is transparent and disclosed to the public, which includes meetings. Without this cooperation and approach to the institutions and decision makers, implementing transparency practices would become much harder. Any authority that shows a firm commitment towards opening public information can count, if they wish, on our active collaboration. In 2014, Civio has been open for collaboration at any time with the authorities in charge of implementing the Transparency Act, even though very little success has been attained at influencing them. A much more fruitful cooperation took place with the Executive while elaborating the 2nd Open Government Action Plan. We proposed a more strategic approach, more in line with the principles of Open Government Partnership (OGP). Several of such recommendations were reflected on the definitive plan. Notwithstanding, a long way lies ahead for such plans in Spain to comply with international demands. Especially, this regards the inclusion of civil society within participation processes. Regarding transition projects in autonomous communities, the Spanish territorial divisions with transferred powers, towards a more transparent governance, during 2014 we have been contributing towards the enhancement of Catalonia's Transparency Act (for the dissemination of all institutional advertising from bodies depending on the Catalonian Government); we were called in as independent experts during the Principality of Asturias parliament advisory days to issue recommendations for Asturias Transparency Act; we have written to the members of the Andalusian parliament in the face of the final debate for the draft Andalusian Public Transparency Act and shared our recommendations in the light of the ordinance for transparency within the Spanish Federation of Municipalities and Provinces for local authorities, who also adopted some of them. Besides, we helped to enrich the Spanish Association of Foundations' Transparency Code (Asociación Española de Fundaciones: AEF). This attitude for public collaboration within the axes of transparency, accountability and active citizenship remains a priority for 2015. To strengthen cooperation with Spanish institutions and bodies. We have increased our presence in main international forums related to our activity area, contributed to global campaigns and participated in consortia for long haul and deep outreach. We attended the Transparency Camp 2014, a forum for specialists in technology applied to transparency and open government organized by the Sunlight Foundation in Washington D.C. on a yearly basis. 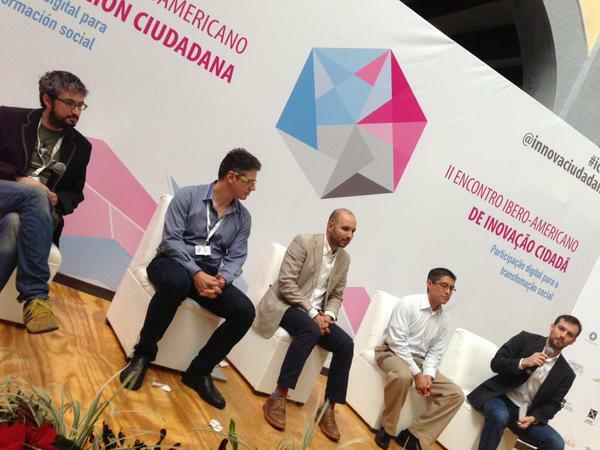 We also went to Veracruz, Mexico, in order to run a two-week intensive workshop at the Ibero-American Lab for Citizen Innovation (Laboratorio Iberoamericano de Innovación Ciudadana) #LabICMX. Regarding training, we were involved in the webinar on how to monitor the influence of money in politics when reliable data is not available, organized by the Transparency International parent branch and the Sunlight Foundation. We also promoted a campaign on parliamentary transparency during the Global Legislative Openness Week. This allowed us to make part of a global joint call, by 108 worldwide organizations, to all parliaments for the updating of the legislative cycle by adopting open and default structure formats. Our project El BOE nuestro de cada día (Our daily Official Gazette) consolidates, counting some 30,000 monthly views and over 3,400 e-mail subscriptions, as a reference source for information on governance. Its articles, featured on other publications, have contributed to enrich the political debate and agenda. A series of eight royal pardons issued, including the one granted to a Civil Guard officer who recorded a sexual assault; the coup de decree with 172 pages containing dozens of measures that the Government passed in July without consulting the Congress; as well as the allocation of seats and subsidies by political parties, have been the three most read topics of this year. Also, and thanks to UPyD party members of the regional assembly taking up the torch, an article published on our blog led to Madrid Autonomous Community institutional advertising changing, for it was clearly showing pre-election self-promotion, which is unlawful. “El BOE nuestro de cada día” has published valuable far-reaching issues that go unnoticed by the media, from the breakdown of institutional advertising to the analysis of coups de decree as a political practice far beyond emergency and special cases. We launched this platform, translated as "Where do my taxes go? ", again in June with a new design in order to show State Budget in a clearer and more visual way. We also added a search engine in order to locate detailed expenses without the need to know the precise budget line they belong to, as we added didactic and dissemination information. One can now find much more and better information and we can dive into the smallest expense item. This is why, even if unique users went down from 51,600 in 2013 to 33,000 in 2014, the average consultation time lasted almost 60% longer. We renewed our website using software created by i.ngen.io, a company devoted to data analysis and visualization and founded by Civio promoters, David Cabo & Jacobo Elosua, for Aragón Open Data and released as open source software. Here is the feature and its first use was Torrelodones. Tuderechoasaber.es (Your Right to Know) is the main source of information and resources on transparency policies and the right of access to information in Spain, and is developed with Access Info Europe. From this platform we launched an information campaign on the coming into force of the Act (I, II y III) and we have monitored the main excuses used to deny access to information, particularly by city councils. We have reported the obscurity of the Congress, who don't provide access to their accounting in detail, as well as the eight-month delay in the issuing of the Statute of the Transparency Council. Yet we have unveiled groundbreaking data on the expenses of the crowning of Felipe VI, the institutional advertising delivery (here is one more example) and the letter sent by the European Central Bank to Rodríguez Zapatero in 2011, published by him in his memoirs with no authorisation. We can say that 2013 was a year for transparency in the Congress and that 2014 was a year for fallow, for institutional adaptation before it comes into force. Unique users of the website went down from 103,000 to 88,500. We also received less information requests: 372 requests, while we had 654 the previous year. We can attribute this decrease partially to an eminent ratio of stillness from public administrations: whenever institutions stop replying to requests, citizens become disaffected and stop seeking information. However, some 2,000 unique users checked the Tuderechoasaber 2013 report, published in March 2014, which revealed an alarming recrudescence of opacity within local authorities. Over 2,000 subscribers receive the monthly newsletter of Tuderechoasaber.es Via social networks, 7,000 twitter followers and 2,200 facebook followers keep up to date with all the news. Finally, no action has been taken to this end. 2014 has been the first full year with the Quién Manda (Who Rules) running. This project maps public-private relationships in Spain and has been checked by 118,766 unique users. During this year we have added up to our database 1,450 new profiles for people and bodies (which now total over 3,800) as well as 2,031 new relationships, including appointments, family links, membership in foundation and company boards, honours awarded, among others. The project displays over 5,800 relationships now, out of which 2,000 have been uploaded automatically and the rest manually. Our purpose is to load more information automatically than manually during 2015. We have also published 28 new articles and added up 88 new images on our send-a-picture feature. The articles on who make part of AEDE (and back the "copy levy"), Juan Carlos I's last supper, right before abdicating, with his entourage and the lines of influential individuals graduated from El Pilar school have been the stories attracting more traffic and some of them have been reposted in media like El Confidencial. "Quién Manda" comes with a proposal for change: encouraging people in high-ranking offices to display their working and meeting schedules. In January 2014 we published the first analysis of transparency in working schedules of parliament groups. We realized that most of them were out of the reach of citizens, and that ICV and CHA were the parties that had implemented the best practices. The second analysis, made in July, disclosed some advancements and UPyD joined ICV and CHA as parties with the most transparent schedules. Our third analysis, in 2015, lays bare how, despite the Congress prefers not to formulate binding rules, more and more groups are adopting the good practice of granting public access to their schedules. Bad news is that it has not been possible to implement the technical enhancements proposed for 2014. Good news is that many of such enhancements are on their way and they will soon be available. However, in February 2015 we got down to business and its results shall be out soon. El indultómetro (the Pardonmeter), a joint project by Civio and developer Juan Elosua, is the first source of information on the use Spain makes of the grace of granting royal pardon. One more year, we have proven that pardon granting is not for exceptional cases, we have revealed which are the most pardoned crimes and we have made the ex-minister of Justice stand corrected after he stated not to have pardoned any corrupted person ever, straying from the truth. The answer to the questions on why the data from the Ministry of Justice and the ones from "El indultómetro" not always match, here is the explanation: we do keep transparency in our methodology. All the royal pardons issued in 2014 are up to consultation at "El indultómetro" with filters for area and type of crime. During this year, there was a decrease in 32,675 unique users for this tool compared to 2013, when the project was launched. However, our information has spread more than any other year: social and media pressure takes effect and pardon granting saw a historical record minimum in 2014. España en llamas (Spain in flames) is a Civio project, started by developer Juan Elosua. In July 2014 we updated the project with new interactive and multimedia information covering the historic period from 2001 through 2012, being this the last year with substantiated data reliable enough to work. We published two new feature stories: Forest fires in 2012: the most devastating fires of the 21st Century and Opacity and cuts in the expenses for forest fire fighting, both investigation led by Marcos García Rey. Both articles were reposted at once by El Mundo. This long haul journalistic job was included in the official selection of the Gabriel García-Márquez Journalism Prizes, among the top journalistic stories of the year in all of Ibero-America. Despite "España en llamas", in overall terms, counted less unique visitors in 2014 than the previous year (11,220 users compared to 15,469 in 2013), the number of queries to the interactive application remained stable (guided tour: 3,300 visits, same as 2013) and more people explored the data by themselfes: 1,982 users navigated the data on their own, meaning 73% over 2013. DigoDiego (Politwoops) allows to check whether a member of the Congress takes back and erases tweeted statements. The project was active during 2014, but barely any erased tweets were interesting. We have highlighted the case of a MP of PP party that erased tweets criticising the policemen that got her a ticket and other tweets erased by Ignacio González, autonomous community president, stating that EuroVegas and the Madrid 2016 Olympic Games were "examples of a great future for Madrid Autonomous Community". 11,400 unique users visited the project pages in 2014, a smaller number than the users for 2013, the year it was launched. The Escuela Civio (Civio School) initiative intends to share and disseminate the knowledge of this foundation, by gathering useful resources for the practice of data journalism, transparency and open data. All its resources are free and open. The most checked items were videos and tutorials on data extraction (1,350 views), how to prepare data for analysis (1,250 views), a workshop on the "Quién Manda" project (975 views) as well as the interviews to the Civio team (1,020 views). Outstanding as one of few resources available in Spanish for this kind of content, it is essential for more and more data journalists, a profession where self-learning is key. "Quién cobra la obra" (Who's paid for the job) is our first approach to a long haul ambition at Civio: to obtain the full radiography of public procurement in Spain. We want to start by large public works, dealt with in this project to be launched in 2015. In 2014, through a crowdfunding campaign within platform Goteo.org, we gathered the support of 250 co-funders. Their total contribution of 8.350 euros (gross before commissions) will allow us to start it. This book portraits the ins and outs of power and influence, the unwritten rules of the game and who establish them, always in their interests. Written through 2014 by Eva Belmonte, project coordinator at Civio, it will be published by editions Ariel. It will be for sale from March 24th, 2015. This is a new journalistic extensive research based on data. The European Journalism Centre (EJC) chose a proposal by Civio to show, analyse and compare the prices of drugs and vaccines used in treatments against the most frequent diseases in developing countries. It will be launched in several languages in mid-2015. This tool (created in cooperation with Barcelona Media and financed under the CHEST project (a European programme Collective enHanced Environment for Social Tasks) will allow any citize4n to analyse, visualise and share complex relationship networks applied to any field or issue affecting their community. 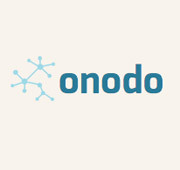 If it can be portrayed as a network, Onodo will allow you to map it and to enhance collective knowledge within any context. More to come throughout this year. In 2014, our third financial year, we delivered a surplus (€ 6.200 approximately), although the accounting profits is lower than it was former years. This is due to the fact that the growth in income (roughly from 94,000 to € 99,000) was lower than the growth of expenses (from € 76,000 to approximately € 93,000). This issues from the increase in labour costs (which constitute 83% of the organization's expenses). The consolidation of Civio has gone through a transition. Our model started with freelance collaborations and has shifted to a stable team on our payroll counting, by December 2014, three workers under permanent contract. This team grows for 2015 and has incorporated two more professionals: a developer and a journalist. One only leap in salaries, which was of € 16,800 gross annual base. A variable remuneration to reflect the contribution of team members in objective accomplishment, totalling € 5,000. A distribution of income generated through activities based on a high level of personal and direct contact, like classroom-based training delivery. Private donations (19,064 euros, 19% out of total income). In June 2014, 45 people donated monthly in order to support the activities of the foundation. By the end of the year, this number of monthly contributors grew up to 100, through the Civio accomplice programme. 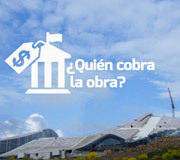 Moreover, 250 micro-donors help to co-fund the ¿Quién cobra la obra? project. In 2014 we organized two events to meet donors and supporters of the foundation, in March and December. Professional service delivery (42,837 euros, 43% out of total income). We have delivered training courses to civil servants (at the National Institute for Public Administration and the Institute for Public Administration of Aragon) as well as for the media (El País School of Journalism). 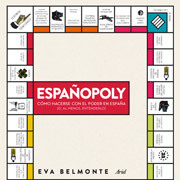 We have provided with consulting services one more year to the BBVA Innovation Centre (by creating contents within their website), as we have cooperated with Ariel publisher in order to launch the book Españopoly, written by Civio project manager Eva Belmonte. A a novelty within this category we have the service to adapt and upkeep the ¿Dónde van mis impuestos? application for local and autonomous community authorities, by reusing Aragón Open Data open source code. The Torrelodones City Hall was the first one to trust us and the fact that their budget transparency website was so well received has fostered other authorities to ask for this service too. In 2014 we also worked with autonomous community governments and hopefully many more public authorities will join this trend in 2015. Institutional support (37,310 euros, 38% out of total income). These are still originated exclusively outside the country. This year we count the following: an agreement with the Polish organization Media 3.0 Foundation, who will replicate the Quién Manda platform in order to map the relations within the Polish Parliament; the European prizes from the CHEST project, which rewarded "Mind the Bank", "Connecting Citizens and Parliaments" and, in a very special way, Onodo, a project that is already running; as well as the cooperation agreement with the European Journalism Centre, who financed the research Medicamentalia / Third World Treatments, First World Prices?, a data journalism project that will allow to compare essential medicine prices from around the world. From 2015 our accounting will pass from a cash to an accrual basis, which is more adequate for a growing organization and that will allow the generated income and the expenses linked to funded project execution in a more consistent way for every financial year. Moreover, in our initial years we have not been able to afford an external audit given our limited budget and how every euro was used to accomplish the objectives on the table. In 2015 we will try to assume this accounting audit element, recommended for any organization. These have been our results in 2014. Without question, the best news is that we have already secured an important share of the funding for 2015 (through agreements with the Open Society Initiative for Europe and the European Commission via the second call of the CHEST project). We started the 2015 year with an approved budget that was substantially higher, over 204,000 euros. We remind you that our accounting has been public since 2012 and are available here. Total income of 100,000 euros and total expense of 99,600 euros. Increasing income in order to self-finance the foundation, with a programme of donations and training and consulting opportunities. Lobbying transparency: jointly with other civil society regulations, we launched a set of proposals for Spanish lobby regulation according to international standards and upon consultation to civil society. Transparency in adviser appointments: we gathered and handed over 47,868 signatures personally in the Spanish government palace requesting the publication on the Official Gazette of any appointment of advisers by ministers and the President, disclosing their tasks, their duties and their professional experience. In February 2015, the Government finally published the list of ad hoc advisers, non-officials, hired by the President's office and by every one of the 13 ministries since the beginning of the term, the service provided and the gross remuneration perceived up to the last closed financial year. Obstacles to the right of access to information upon Transparency Act entry into force: On December 10th, the Transparency Act came into force and we became, along with Access Info Europe, the information source of choice for the reporting of technical obstacles hindering the right of citizens to request information. We held a meeting with ElConfidencial.com and we answered the 24 questions proposed. Since then, we keep working in order to help public administration reduce such obstacles substantially. Transparency proposals for the regeneration of democracy: We contributed with recommendations related to transparency within a campaign for legislative changes towards the regeneration of democracy carried out by civil society organizations such as +Democracia, Hay Derecho or CIECODE among others. We have provided public authorities and communication groups with training. In 2015 we intend to start a new line of on-line training contents and to better harness the benefits of new e-learning technologies in order to extend the scope of training centres and students to provide specialised training to. 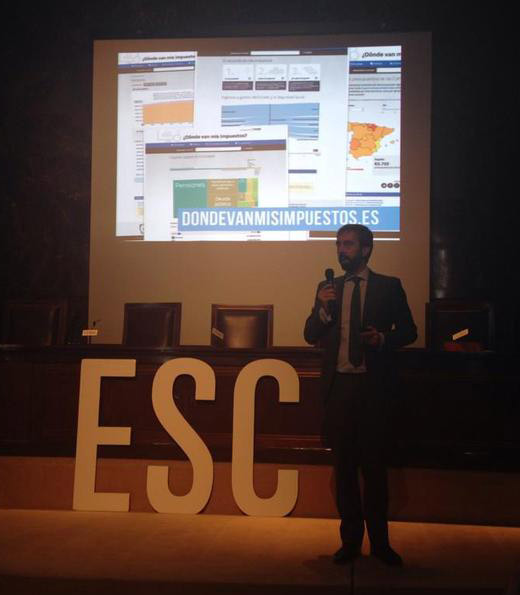 Es have also shared our experience in courses, workshops and dozens of forums all over Spain. Among them, The Aporta meeting in Madrid; a workshop for Zaragoza Activa on democracy and transparency; the Culture and good practice conference at the venue la Casa Encendida in Madrid; the Villaviciosa Ateneo cultural centre Dialogues in Asturias; the Data Journalism conference by OKFN in Barcelona; the conference on Transparency in foundations by the Spanish Assocation of Foundations; a course and a hackathon about the Quién Manda project at the Barcelona Contemporary Culture Centre during the Big Bang Data exhibition; the ESADE school conference on transparency and good governance, organised by the Embassy of Sweden and Kreab Gavin Anderson; the course "State and society facing curruption", by the Parliamentary Journalists' Association; the Cachirulo Valley CTalks, in Zaragoza; the “Xornalismo e redes” (Journalism and networks) congress, in Santiago de Compostela; Open Data "Jacathón" in Jaca, Huesca; the Forum against poverty and social exclusion, in Galicia; OGovDay, in Terrassa; UPyD the Transparency and Anti-Corruption Conference at the Congress of Deputies; the G2020 Transparency conference en Madrid, among others. In 2014, the work of Civio foundation was acknowledged with the first position of the journalistic innovation ranking by the communication research group on ('GICOV') of Miguel Hernández University in Elche. Civio, El Confidencial, Vis-à-Vis, eldiario.es and Acuerdo were, according to this ranking, the top five innovative journalistic initiatives for that year. 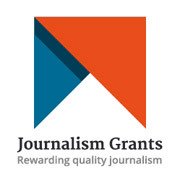 Within the field of journalism, the work of the foundation has also been acknowledged as a “prime example” in The Art and Science of Data-driven Journalism report, by Columbia Journalism School, on data journalism, given that this work was taking place in a country still missing a transparency act. 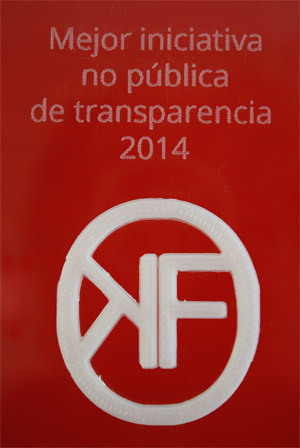 Moreover, the Spanish members of the Open Knowledge Foundation (OKFN-Spain) selected the Civio foundation as the best non-public initiative for transparency at the first edition of the OKFN prize to Open Knowledge, Open Data and Transparency. By the end of, over 3,900 subscribers were receiving a Civio newsletter with the latest news by e-mail, counting 123 new subscriptions in average per month. After 33 informative mailings and campaigns throughout the year, the opening rate of such newsletters averaged over 40%, getting up to 60% for donors. Such metrics reflect higher interest and involvement than most social organizations. In addition, over 3,500 people receive by e-mail every new article from El BOE nuestro de cada día, as well as 2,037 more are sent news related specifically with the Tuderechoasaber.es project, counting an opening ratio of 38%. Regarding media exposure, Civio registered approximately 250 impacts in 2014, all of which were positive and mainly on digital media. 78% of this coverage took place in national level media and 16%were local. El indultómetro concentrated almost one half of the clippings, with strong presence on television. Keeping a constant attitude of closeness and cooperation with institutions works and is worth the while. It constitutes a medium- and long-term effort, that may entail frustration when promises of transparency do not show enough political will to support them. However, close and strategic cooperation is the only way that has sometimes worked. Lack of transparency and stillness by authorities always come at a price. When institutions stop replying to requests, citizens become disaffected from transparency, stop seeking information and it entails a serious damage. We could confirm so after the decrease of requests in Tuderechoasaber.es. Rosemary Agnew, director of Scottish Information Commissioner's office, stated as follows in 2013: "failing to respond doesn't make requests go away, but just creates unnecessary extra work and increases costs. Failure to respond generates complaints, review requests, and appeals to my office, and damages a public authority's reputation. The most efficient option is to get it right first time". We concur completely with it. In Spain, the tissue of organizations (those having stable teams and rigorous methodology) specialized in the field of transparency and right to access is still at a very early stage compared with other countries. The lack of funding opportunities, both public and private, makes essential to face outward in order to find models, success stories and a strategic vision on transparency and activism in the long run. That said, we add up more and more national initiatives little by little. From Hay Derecho foundation to the +Democracia initiative, from Qué hacen los diputados to Graba tu pleno (Record the council), OKFN, Openkratio, the CIECODE Avizor project or Kuorum, are just a few of the main ones. They all contribute to a richer debate and develop valuable proposals. We hope we can cooperate actively with all of them in order to attain a more efficient and influential network. Learning how to manage pro bono work and collaborations is complicated and time-consuming. Many people are willing to help and put a bit of themselves, but making good use of it takes effort and resources. We have a lot to learn in order to channel such energy in a way that is rewarding for volunteers and organizers, but during 2014 we were able to see some fruits of our labour: we received leads for stories in "Quién Manda" and pictures for the Fotomandón; in March, Fernando Ripoll redisigned "El BOE nuestro de cada día", and we love it more and more; Irene de la Torre prepared a wonderful visualization for the articles on El Pilar school in "Quién Manda"; Julian Hauser helped us by analysing a variety of international laws on transparency and lobbying regulation; Mauro Entrialgo is the author of the amazing t-shirts that we handed to the "Quién Manda" crowdfunding donors; Jaime Gómez Obregón gave us the idea to introduce "Mind The Bank"; Antonio Villarreal wrote a fantastic article in "El BOE nuestro de cada día" as guest poster; Juan Elosua helped us, as he always does, to update the data in "El indultómetro", among other things. And many more. So, many thanks to every one of you! The diversification of income sources is essential for sustainability and growth in an organization that receives no state help. The provision of marketable services, based in specialised knowledge and with a high added vale, is a key pillar for our growth. Pilots and good practice, like adoption of ¿Dónde van mis impuestos? in municipalities like Torrelodones passes on and generate very positive exposure. Large international donors request very high standards of professionalism and diligence. Being a foundation or any other kind of not-for-profit organization does not exempt anyone from being accountable, in a detailed way, at all. These large donors mean a positive boost towards the implementation of better international practices on governance and society dynamics. As well as advancing more and more in attained impact measurement is critical to them. Civio's future relies on its accomplices, of our regular donor community. They allow us to plan our labour properly, and free us from depending solely on service provision, winning international contests or getting grants. Every donor is different, every donor has priorities and incentives of their own. Donating for an organization to foster institutional transparency is not whimsical nor intuitive. We must prove on a day-to-day basis, in every decision made, out of precision and reliability, that their support is worth it. Over half a million unique users have used our tools in 2014 in order to have access to better information on public administration and to play a more active part in society. More and more citizens, organizations, bodies, social movements and public officers of all fields are contributing to the public debate we foster, based upon evidence and free access to data. We have participated and affected processes for the adaptation to transparency in autonomous community, municipality and sector levels. As a result of our recommendations, the policy support of public access to information has been strengthened and increased with better practices that will benefit thousands of citizens and organizations. We set ambitious objectives for ourselves that, thanks to a continuous and well grounded endeavour, they become likely at first and then real. In October 2013, we asked all the groups of the parliament to make their working and meeting schedules public. Throughout that year, several groups have been following this recommendation by Civio, and they even have requested the Congress to make its publication compulsory. In November 2014, the Congress started to publish on their website the schedules of deputies that were proactively requesting so. 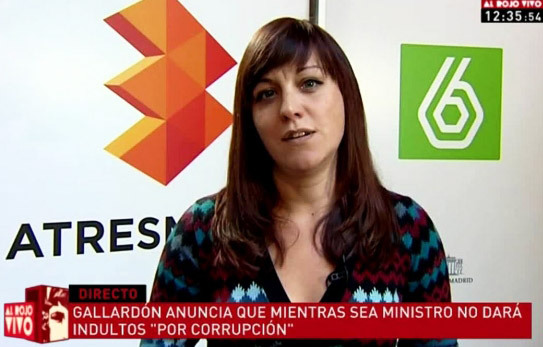 By the end of the year, four parties (EUiA, Coalició Compromís, UPyD and ICV) already had fully public schedules and 117 MPs out of 350 willingly link to their schedules from the website of the Congress. In 2015 we will give renewed impetus to this line of action. The civic purpose of our initiatives is fulfilled when we are able to transform data into useful information and knowledge at the service of other citizens and organizations. If in 2013 we talked about a secondary school in Tomelloso, in 2014 we can mention the teachers from the Oviedo University for the Elderly programme who have used ¿Dónde van mis impuestos? in their "Keys to understand business and economics news" workshop. It is used also in Applied Economics within Madrid Complutense University, in subjects such as "Introduction to Economics" or "Public Administration Economics". El indultómetro, also, has served as a basis for studies in Law and Criminology. Out of modest means, Civio is able to deliver true public service information. El BOE nuestro de cada día was the only information source that unravelled, for all citizens, the contents of the 172-page coup de decree, published on a July Saturday, and that would amend as a matter of urgency and without parliamentary approval. Three opposition groups appealed such measures before the Constitutional Court, who admitted the appeal and have yet to pronounce their sentence. Another article published in this blog led, thanks to UPyD party members of the regional assembly taking up the torch, to Madrid Autonomous Community institutional advertising changing, for it was clearly showing pre-election self-promotion, which is unlawful. We go on raising the bar for transparency and open data good practice. And we are not the ones to say so. The Orange foundation, one more year in their Open Data report, praised the budget transparency portals of the Basque Country and Aragon, that emerged out of the first version of ¿Dónde van mis impuestos?, developed by David Cabo, as a good example to follow. Moreover, the methodology guide for sectoral open data planning of the Ministry for Industry, Energy and Tourism and the Ministry of Public Administration and Finance recommends the Civio school as an example to create repositories of training resources. And the The Art and Science of Data-driven Journalism report of Columbia Journalism School underlines the work of the foundation of bring out data journalism in a country that still did not count on a transparency act. But our best victory has been to conclude 2014 with positive balance, a growing and consolidating team, the motivation to face new challenges in 2015 and the confidence to commit to our donors and followers to stay up to their expectations. Thank the trust you place in us! Translated into English thanks to Comunica34.